SPRING IS HERE !! 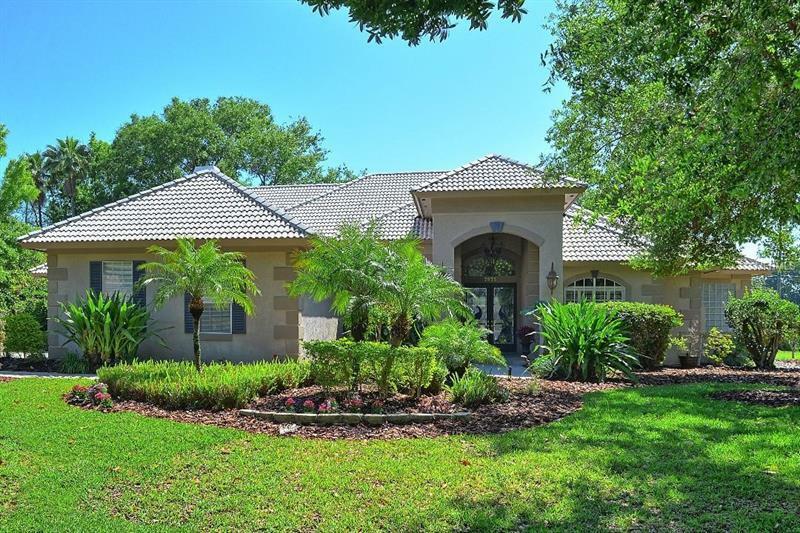 Be the first to schedule your appointment to view this lovely Executive 5 bedroom (41/2 bath)en suites pool home located in gorgeous Dr Phillips.You will appreciate the open split floor plan and "12 ft ceilings. Notice the designer stained glass front doors.If you love to entertain you will appreciate the convenience of the large formal living and dinning room.The kitchen is equipped with stainless steel appliances, island cook-top, cherry-wood cabinets, large pantry.The master en suite is elegant and private with access to the Lanai.No home is complete without the warmth of a wood burning fireplace in the family room for those cooler months.For those of you that are the outdoor type and love spending your summer days basking in the sun , your going to love the tranquility of the heated (saltwater) pool with an enchanting waterfall, spa and summer kitchen.Custom draperies, plantation shutters, and blind further enhance this home.Side (3) car garage entry, indoor laundry room.Newer 5-ton Hvac installed 2017, new carpeting and paint throughout. "A" rated schools, minutes from shopping malls, grocery stores banks, restaurants, Universal & Disney attractions.Community park with basketball court, picnic area , and designated play area with swing-set & slide. Picture yourself in this wonderful home by Easter ! !